Powder coated metal frame wrapped with tiny hand-sewn coconut shell beads. 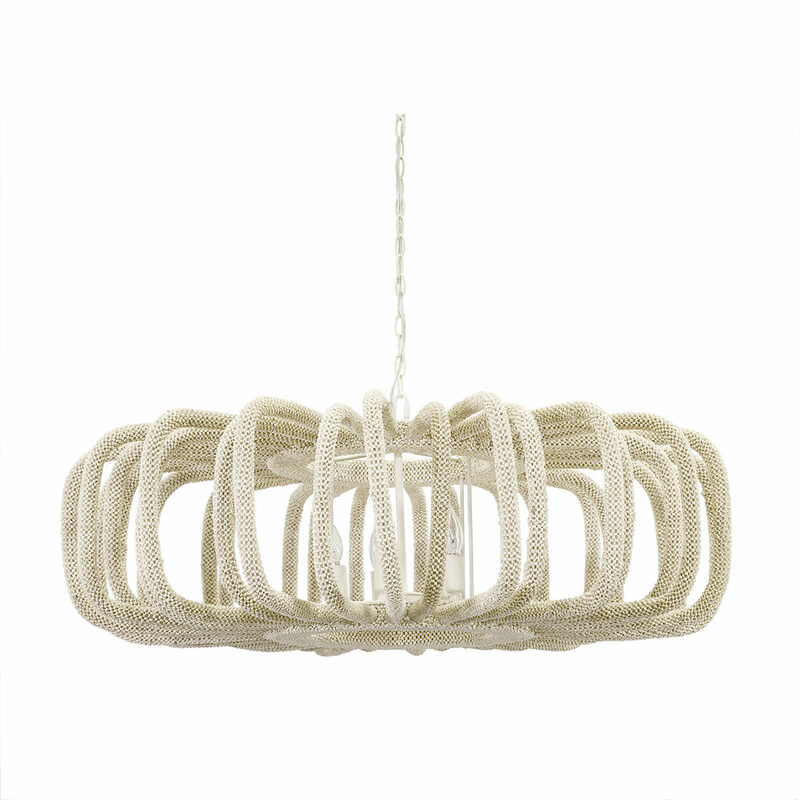 Pendant comes with a cream finished chain and canopy hanging kit. Professional installation recommended.